The HVAC ASHRAE Duct Fitting Database (DFDB) for the iPhone and iPad is now a universal app. This means that it works on both the iPhone and iPad and adjusts its screen accordingly. THIS APP IS ALSO COMPATIBLE WITH THE LATEST VERSIONS OF IPHONE AND IPAD (iOS 8). 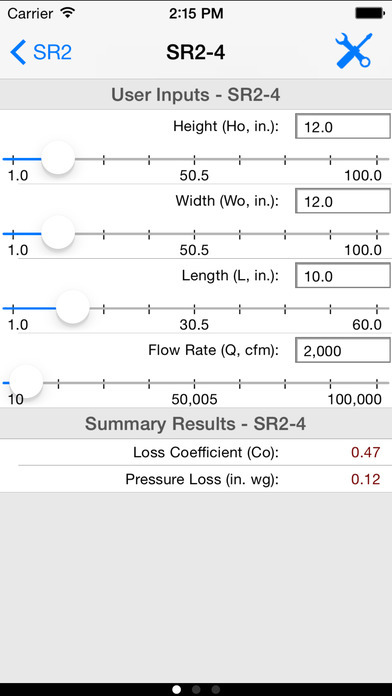 The DFDB app allows you to perform pressure loss calculations for all 240+ ASHRAE duct fittings in both IP and SI units. Features include dynamic illustrations of each design, and the ability to share reports and spreadsheets through email. 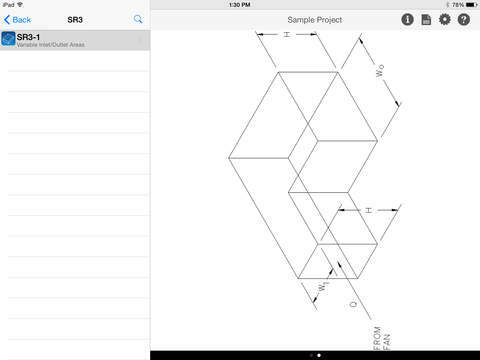 This app is based upon the popular ASHRAE Duct Fitting Database desktop application. The advantages of this mobile app are that you can easily use it out in the field to do quick duct pressure loss calculations, the inputs can be adjusted by touch, and installation is automatic. 1. You can create individual projects, each with unique input values and results. 2. Each fitting has its own custom set of input parameters and results. 3. You can easily change the minimum and maximum allowable values for all input parameters. 4. It includes a useful search feature that allows you to type in a partial or full fitting code name to quickly retrieve it. 5. It allows you to display and email two types of reports. The app reports also include a spreadsheet attachment that you can open on your desktop computer to do further analysis. 6. The app displays inputs and results in both IP and SI units. 7. Works on both the iPhone and iPad and adjusts its user interface according to the proper size screen. 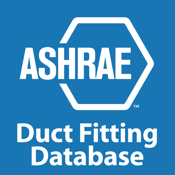 The ASHRAE Duct Fitting Database application was designed by Carmel Software Corporation exclusively for ASHRAE.